Children are magical, wonderful and full of unlimited potential. Sometimes these qualities go untapped as our changing world exposes them to unprecedented types of stress and overwhelming levels of external stimulation. We believe that developing a child’s sense of spirit and enriching their soul is the most precious gift we can give. 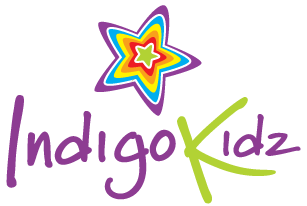 Indigo Kidz provides resources and ideas to empower children on their journey to self-discovery and inner peace while nurturing their innate creativity and spirituality. Our products are fun and easy for everyone to use. Amy lives in Western Australia with her husband and three children. A former primary and secondary school teacher Amy now teaches meditation to children and writes resources and books to nurture children’s spirituality and to teach them relaxation and calming techniques. Amy has herself been practicing meditation for over 15 years and is passionate about it being introduced as part of the school curriculum. Amy also trains adults to teach meditation to children. Amy has a Masters Degree in Health Promotion, Post Graduate Diploma of Health Promotion, Bachelor of Education and a Diploma of Teaching. Amy is an accredited children’s meditation facilitator and is trained in Reiki, Children’s Yoga and Crystal Therapy. She is also a certified Angel Intuitive trained by Doreen Virtue PHD. Amy’s passion is to take the mystery and fear away from meditation and calming techniques and to bring it to the attention of mainstream schooling as a way to create an optimal learning environment and enhance creativity in children. Amy believes that children need to feel balanced and have the tools to cope in the fast paced world in which they live. In her spare time Amy is a keen renovator who loves to upcycle discarded furniture and items into much loved treasures for her home and garden.